The New York Public Library, Brooklyn Public Library, and Queens Library are teaming up with the Metropolitan New York Library Council to bring digital privacy and data-security information to New York City’s 8.5 million residents. With support from the NYC Mayor’s Office, the project will train the city’s front-line librarians to be able to answer questions about internet privacy and data security, ensuring that NYC residents can rely on public libraries for trusted and current information in this increasingly-important area. “New Yorkers need resources to protect themselves as they access the Internet,” said Miguel Gamiño, Jr., NYC’s Chief Technology Officer, whose agency is providing financial support. “This initiative is a critical component of the City’s mission to safeguard privacy and security as we continue to expand internet access to all New Yorkers,” he added. NYC Digital Safety: Privacy & Security, will employ both online-learning modules and in-person workshops to train more than 1,000 library staff members throughout the city’s three main library systems. The specialized training is scheduled to be rolled out in the spring and summer 2018. An advisory committee with representatives from the NYPL, Brooklyn and Queens library systems is building on curricula already created through the Data Privacy Project. The committee will further leverage resources previously developed by the Mozilla Foundation, Data & Society, the New America Foundation, the Library Freedom Project. Tactical Tech, and others. Plans are also in the works to make the final curricula, toolkits, and facilitation guides available at the conclusion of the project for use by a broader community of librarians, educators, and technologists. Bill Marden became NYPL’s first Director of Data Privacy and Compliance in November 2015. He comes to NYPL with almost 20 years of policy, regulatory, and compliance experience at some of the world’s leading financial institutions including Citigroup, JPMorgan Chase, and UBS. 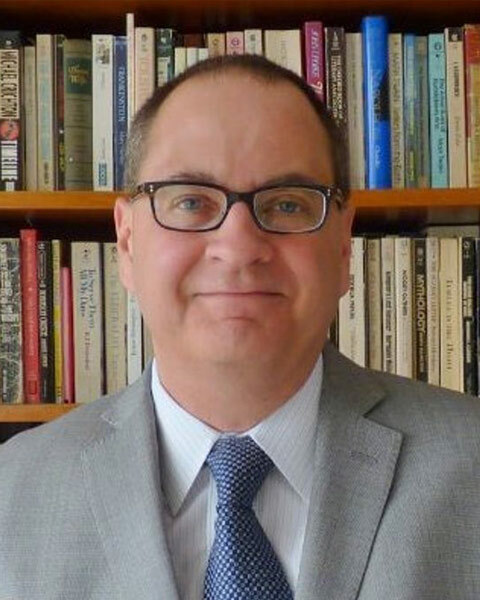 Previous to his time in the financial world, Bill was a librarian in both the public and private sectors, including six years as books and manuscripts curator for the Frederick R. Koch Foundation, now housed at Yale’s Beinecke Library. He also interned at the Pierpont Morgan Library while studying for his MLS, which he received from Columbia University in 1988. 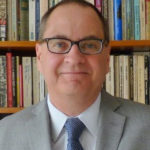 He is the author of two award-winning books about New York City bookstores, and is also a contributor to “Protecting Patron Privacy in the 21st-century Library,” published by Rowman & Littlefield.